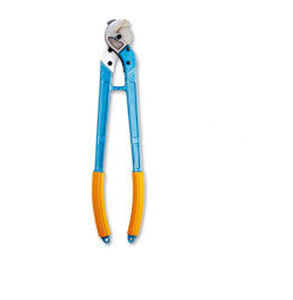 We are renowned SF-20 Cable Cutters suppliers in Abu Dhabi, UAE. We are involved in supplying the wide assortment of heavy SF-20 Cable Cutters to a number of industries all over the Gulf countries. The SF-20 Cable Cutters that we are offering are procured from reliable and reputed international manufactures. They manufacture these cutters using cutting edge technology in their highly equipped facilities. These SF-20 Cable Cutters are made of strong steel with plastic handle covers to give longer working life. The cutters that we offer are tactically designed to be used on copper and aluminium cables of diameter up to 38 mm. We also send them for the quality check to ensure the quality of the cutters on our end and then dispatch them to the clients. We have maintained a large stock of the cutters and can cater even to the bulk orders of the clients. Get in touch with us for further details about the products and the prices.